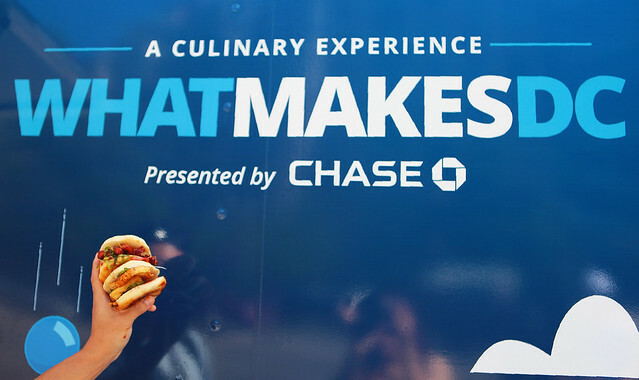 Last Friday, I attended a Food Truck Event hosted by Chase in collaboration with Chef Eric Bruner-Yang. 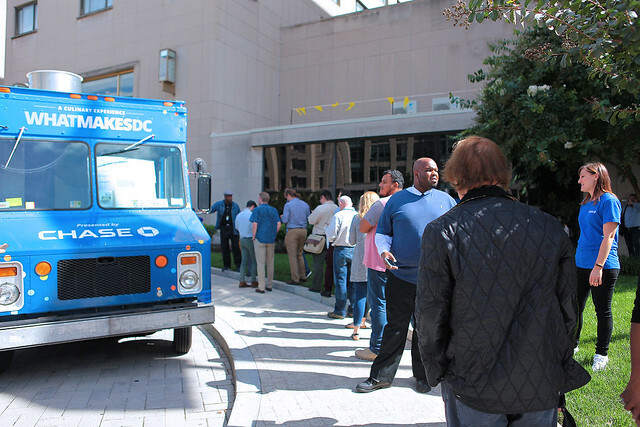 What better way to welcome fall than with some delicious food truck free food. This is part of the many events Chase has planned to celebrate the D.C. community and to spread the word about their expansion to the Greater Washington area. They are opening up to 70 new branches, and hiring 700 new employees in Virginia, Maryland and D.C. The first location just opened this Monday, October 1, in McPherson Square. 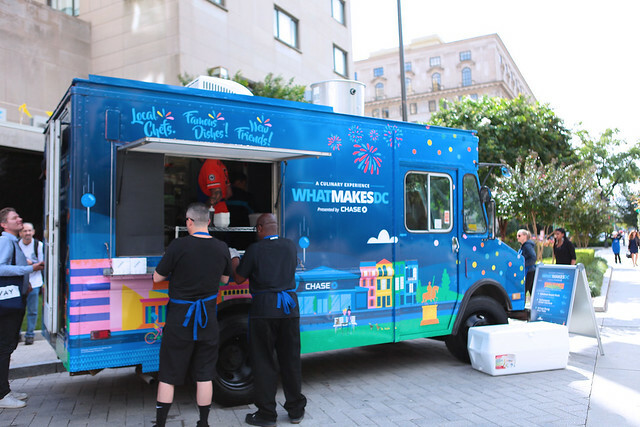 The marketing staff from Chase along with Chef Eric Bruner-Yang set up the food truck at the Capital Hilton Hotel. 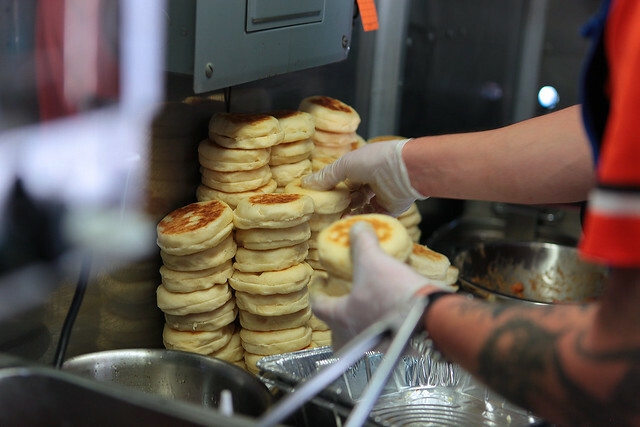 The three burgers options people could choose from included: Smoke Roast Pork, Taiwanese Fried Chicken, and Krispy Kung Pao Tofu. They started serving burgers at 11:30 am and before you knew it, people were queuing up until around the corner. Thank you Chase, for inviting me to be part of this event. I cannot wait for the new Chase branches to open up in my neighborhood. And as part of the new presence in the DMV area, Chase has planned a lot more special events which will be unique to the local areas and communities. 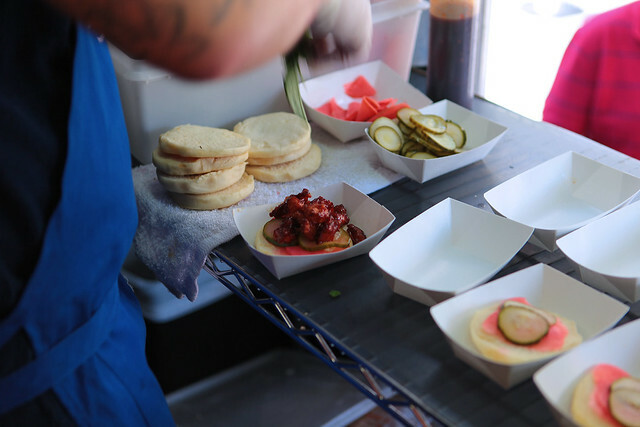 Scroll through the photos below to get a glimpse of the Chase Food Truck Event. This was a paid collaboration. All opinions mentioned are my own. Our town has Food Truck Fridays once a month and it is unbelievable how many people come out for it! So good! Wow this is so great. I loved it. I really wish if I could participate in something like that. I am so impressed with this blog! I am in DC area and wish I knew about this event!! Food trucks are so fun! Lots of variety! Sounds like fun! I really love trying different food from food trucks! I'm such a HUGE fan of food trucks! How fun! 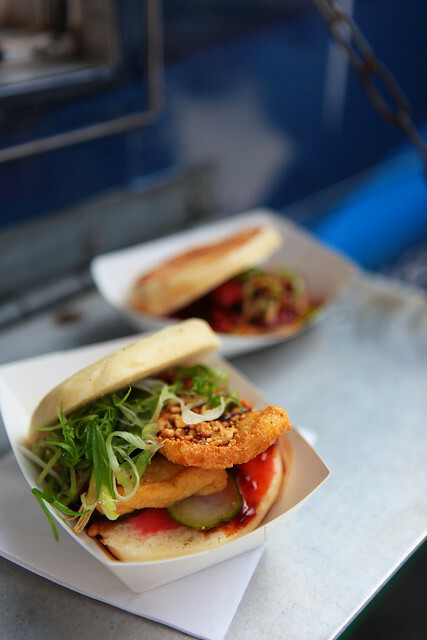 I must admit that I have never eaten at a food truck before and would love to experience something like this. Ah this looks so fun! what a cool idea for an event! Wow! This one's a winner. I just love everything about this! Everyone can dig right in with their food!! that looks delicious! I love food trucks cause I think they make the best food at an affordable price ❤️ it's also great knowing im supporting smaller businesses! What a fun event! 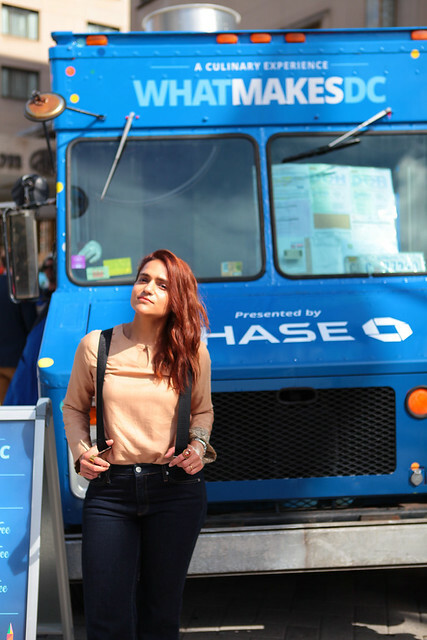 I love anything involving food trucks and it looks like Chase has some great chefs on board for this promotion. Seeing and buying a food from a food trucks is so much fun and aside from that the food is really delicious. Oh this looks like fun! It's wonderful what Chase is doing with opening locations locally! Food trucks are so fun! My favorites are anything with a good taco! That looks so yummy! Food trucks always have the best food! sounds like such a fun and delicious event! i love food trucks! i really shouldn't read stuff like this before dinner. even more hungry now! I do not know what it is but something about food trucks is very comforting. It has a great charm, and even better flavor! What a delicious event! Food trucks are always yummy! I absolutely love food trucks. It's so fun to try new foods this way. This looks like a cool event with some very tasty food! I love the decoration on the truck too! How cute is this setup. 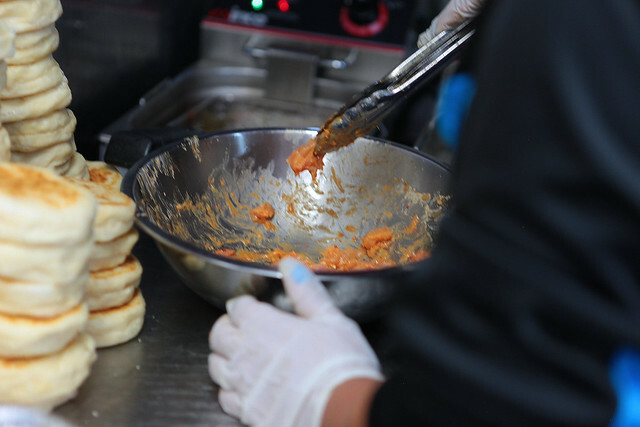 Food trucks always have the best food.